Congratulations to Celeste Arthur of Hoot Holidays who won the Hakuba Pristine Water (unique skin-care product) from our last issue. This issue's photo is of the Mt Fuji Shibazakura Festival, an annual event held from 18th April - 31 May 2015. Shibazakura (moss phlox), with pink flowers that resemble cherry blossoms, carpet the grounds of Lake Kawaguchi, highlighting the magnificent Mt Fuji in the backdrop. If your clients have missed the cherry blossoms, it's not too late to catch the shibazakura. In Japan, not all ATMs accept international debit/credit cards. Only Citibank and Shinsei Bank ATMs will take them, as well as Seven Bank (located at Seven Eleven convenience stores) and Japan Post Bank ATMs found at post offices throughout Japan. Note ATMs in Japan have limited operational hours. Withdrawals are generally capped at 100,000 yen (approx AUD$1087) per day for safety reasons. To coincide with the launch of the Hokuriku shinkansen, Nohi Bus has started two new bus routes. 1) Toyama Station to Okuhida Onsengo (everyday from 14 Mar. 15) 2) Takayama -> Okuhida -> Ogizawa (accessing the Tateyama-Kurobe Alpine Route, 16 Apr to 22 Jun. 15). 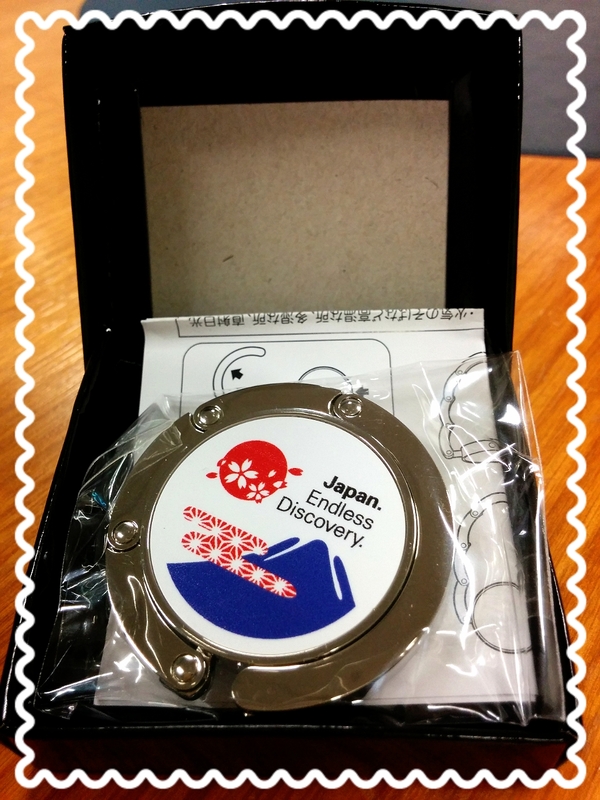 Give-away: Win a 'Japan. Endless Discovery' bag-hook! Never dirty your handbag by putting it on the floor again with this 'Japan. Endless Discovery' bag hook, which folds up nicely and comes with a drawstring pouch. For your chance to win one, be one of the first to reply to this email answering this question: "Tokyo is served by which two airports?"